Ball and Roller Bearings for Electric motors must provide long life, low noise and a light weight compact design. 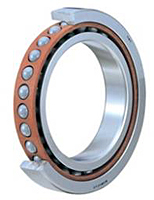 Ball bearings are available with shields or seals and with a range of internal clearances (C0,C2, C3, C4). Roller bearings are available with several cage options and mounting designs. 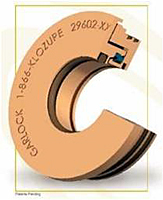 Special Solutions: Many motor bearings are now available in a “current insulated style” which has a thin ceramic coating on the outer or inner ring. This helps to eliminate the issues of electrical currents running thru the balls and raceways creating damage and failure. Bearings with Ceramic balls are also available.